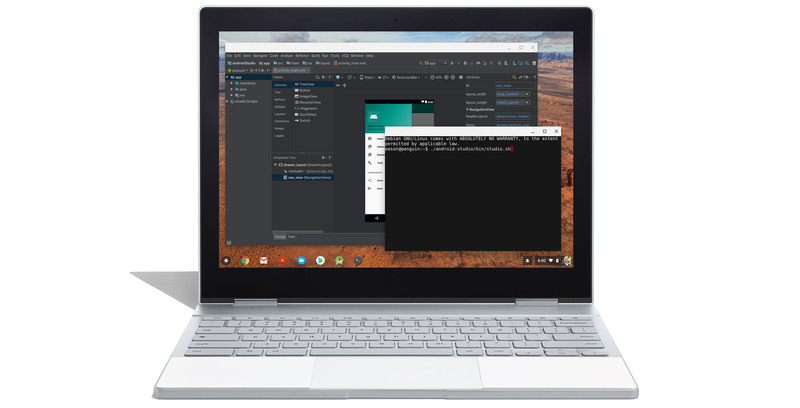 Following rumours Android Studio would come to Chrome OS, Google has added official support for the platform within Android Studio. This is excellent news for developers, who can now select between macOS, Windows, Linux and Chrome OS when it comes to the computer they use for development. Granted, Android Studio was mostly available on Chrome OS thanks to support for Linux apps. That support began rolling out on the stable Chrome OS channel in September. It allows Chrome OS users to load Linux apps in containers on Chrome OS, including Android Studio. However, starting early next year, Google will make Android Studio on Chrome OS official. Likely, this means some Android Studio bugs related to Chrome OS will get fixed. Further, it could mean we’ll see deeper integrations between Chrome OS and Android Studio. For example, since Chromebooks can run Android apps, it may mean developers can test apps instantly on their Chromebook instead of using an emulator or an external Android phone or tablet. There are instructions on Google’s Developers website for setting up the Android Studio preview on your Chromebook. However, the webpage went live during Google I/O in May.